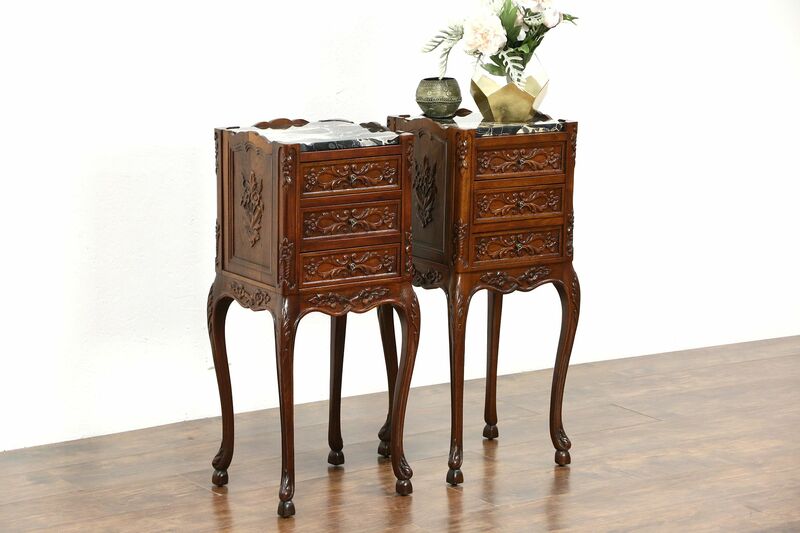 A pair of nightstands were richly carved of solid walnut about 1920, tops are black marble. The restored finish is in excellent condition on this American made antique furniture. Famous Italian "Nero Portoro" marble has been polished and sealed to resist stains. Drawers have original brass pulls. Dimensions are 14" wide, 13" deep and 32" tall.